Blue Sky Pressure Washing is your Eco Friendly company in New Hampshire & Massachusetts communities. 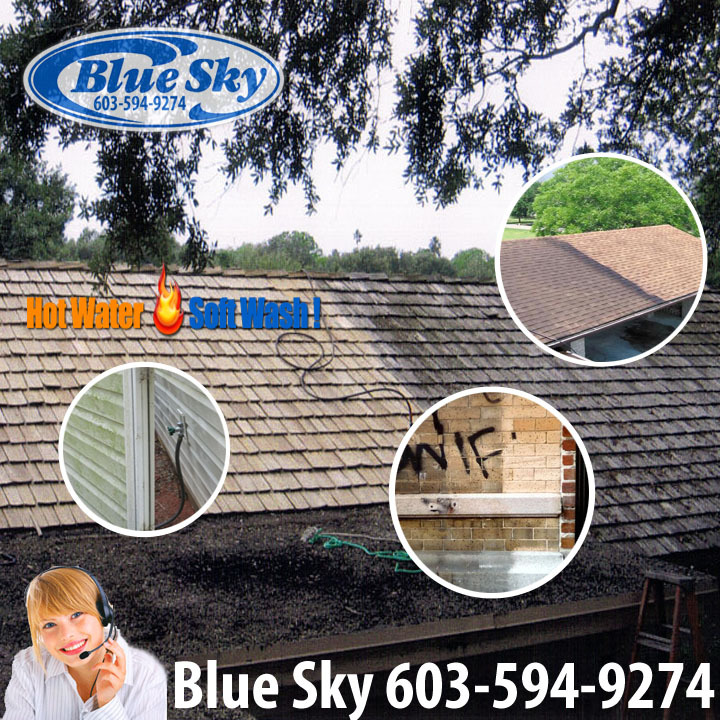 Call Blue Sky Power Washing for your Ugly Shingle Quote! Blue Sky has served over 2000 homes for pressure washing roofing “ugly shingles”, vinyl, asphalt, pavement, & clapboard Cleaning! New Hampshire & Massachusetts has a four season weather pattern that can create algae, dirt, grime and mildew on your home & vinyl siding & shingles and if not cleaned, can cause costly repairs, renovations or replacements.